I remember in my late teens and in the early stages of my development making lots of mistakes. It's funny, I used to sing with an American accent and the penny didn't drop until I overheard a group of people snickering about it. I then took a few years off singing and didn't really take it seriously until the age of 21; I took professional guidance and then subsequently went on my own journey of self-development. Outside of TesseracT I'm an active vocal coach and one thing I say is that singers can search for years to find their voice and the irony is that our voices are already unique so we don't need to look any further than ourselves. Having never studied music I have no qualifications and my understanding of music composition was fairly limited. It's taken years to self learn and slowly over that time I've developed my set up, saved money and brought production tools and become a lot more focused in general. It's a nice little creative space, suitable for engineering / recording / producing vocals and giving vocal lessons. Mood is important, I have lots of ambient lighting, artwork of various kinds hanging on the walls and small work desk with monitors and nice comfy chair. All the things you'd expect in a fairly average home studio. It's nice and just what I need to be creative and productive. I use a variety of studio mics and primarily use an Apollo Duo interface and pre-amp plus various others but probably the most important tool that I possess right now is the Neumann KMS 105. It is a fantastic live condenser that I use whenever possible on tour. It's very sensitive and exposes a lot of detail so not all venues are suitable. But when we can flex it's muscles, we do. Where do ideas come from, what do you start with and how do you go about shaping these ideas? It really does vary. Sometimes I can listen to a piece of music and instantly have melodies and lyrics in the forefront of my mind. This ability has developed over time; over the past several years I've produced vocals and released over 12 albums. When you're constantly creating it eventually becomes natural. Sometimes however, I find piecing ideas together like a jigsaw helps; moving melodies around to create alternate sounds is nice way of experimenting. With more and more musicians creating than ever and more and more of these creations being released, what does this mean for you as an artist in terms of originality? I don't worry about this, in fact I never really pay attention to what's 'new' and 'fresh' these days. I only concentrate on impacting myself. If I don't create something that leads to the 'shivers' I don't create at all. Everything has to have impact and the more I shelter myself away from what's going on the more original I become. What are some of the areas where you currently see the greatest potential for originality and who are some of the artists and communities that you find inspiring in this regard? Progressive music in general is a community where people are not afraid to express themselves and generally don't conform to a standard. The rock and metal communities for me are a little stagnant at the moment and I enjoy listening to people experiment in their field. Prog is definitely a place where you can find expression. Over the years I've become more and more focused on the dynamics within music. I have a love for both popular and heavier genres of music and in each it's the space and choice of quality sound over layers of sound that I personally find inspiring right now. Everything I create stems from an emotion and a visual, whether that be in my mind or before my eyes. I often take long drives into the countryside and draw on the beauty of my environment for inspiration. I imagine a lot of the music I create to stand up against film and movies. Epic landscapes and beautiful images / artwork always inspire me. I think I've shaped my lifestyle and indeed my life to dive into the musicians world, so I feel happy to deal with the day to day activities of being an artist. I do view music as tool to communicate. I always have a message behind every song Im a part of and that direction is generally aimed somewhere towards peace. I believe that in order to engage a listener and retain attention you have to create interesting and captivating sounds. This is why TesseracT and all I do is geared towards an emotional / relatable / accessible connection. Reaching audiences usually involves reaching out to the press and possibly working with a PR company. What's your perspective on the promo system? Financial backing and budget is always a limiting factor in term of what we can achieve but that being said it's all about the music. That's the most important thing, which why we always strive to produce better and know better. As myself and my peers are all self-producers and DIY artist we have learnt to survive with what have. Of course there are always dreams and aspirations but I wouldn't want to give too much away now would I? 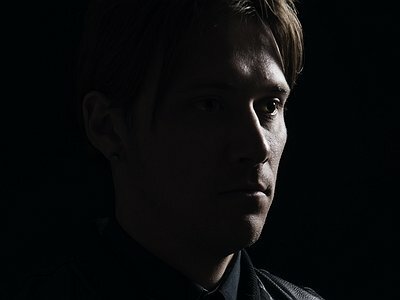 More information about Daniel Tompkins, TesseracT and his other projects can be found on his website. Our voices are already unique so we don't need to look any further than ourselves.